Is it a game? Is it interactive fiction? These are the questions that inevitably surround a David Cage release. 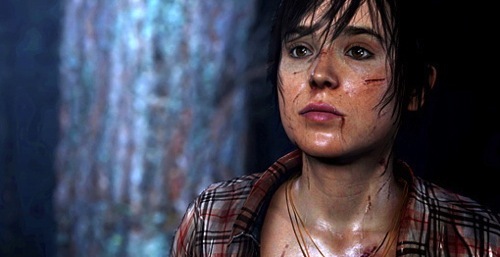 It happened with Heavy Rain and again with Beyond: Two Souls. It’s clearly a game, but is it fun and worth your time? That’s the question and the purpose of this review. Heavy Rain creator David Cage has sometimes over-promised and under delivered. Of course, he’s nowhere near the level of Molyneux in that regard. 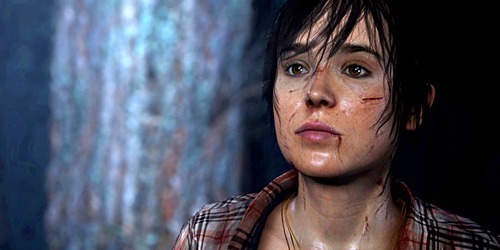 In fact, he doesn’t even want to say too much about Beyond: Two Souls because he wants people to experience the game with no preconceptions or ideas about what the game is going to be like. I think there should be no preparation for Beyond. You must go into the game trying to learn as little as possible! Like other game creators, I wish I could say nothing and show nothing, and put a plain black cover on the shelves so that players start the game completely blank, with no information from trailers. This is something that is obviously not possible, unfortunately! It’s interesting to me how many game creators really desire this pure kind of experience — and how impossible of a dream it is in a day when video game marketing machines dictate everything in the industry. The funny thing is, as much as gamers want that same kind of secrecy, that same ability to play a game with no idea what they’re getting into, we also demand previews, trailers and details galore, in order to make sure our money is being well spent. So what do you guys think about this issue? Do you wish more creators could release games with less information about them? I mean, sure, there’s always the argument that you could avoid trailers, stay away from previews, etc — but at a certain point it’s hard to avoid everything, particularly when so much information is available, and so much of it not even indicative of the final product. Give us your opinions in the comments. Go! Just like last year’s E3 press conference, Microsoft had a bit of a lackluster showing with nothing but sequels, media boasting and Kinect showings. 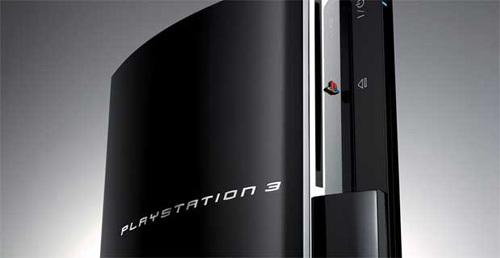 Did Sony do a better job in 2012 than 2011 of capitalizing where the competition falter? Have we reached the Uncanny Valley yet, gentlemen? The place where robots or animation start to get creepy, because of the way they mimic life but happen to be just off? Who knows, but some of the results on the way there are interesting to watch. Quantic Dream, creators of Heavy Rain, just debuted a new tech demo at GDC this week known as Project KARA, the story of a robot/AI that accidentally becomes self aware during production. Unlike their last project, KARA was created by use of full performance motion capture, rather than separate body/facial animation capture. The quality of the performance is rather impressive (even if the writing always isn’t) in this piece – and what’s more impressive is that all of this is being handled in real time through the PS3. Cage has noted that this isn’t tied to a specific project at all, but rather a demonstration of where they’d like to go with their next project. What do you guys think of this short? Uncanny Valley territory? Impressive? Lame? Go! And we’re back, fellow gamers. It’s been a couple of weeks because a certain bearded somebody forgot that Thursdays are our podcast nights, and decided to go out and have a life instead. However, everything is back to normal, and now a brand new podcast is out for your enjoyment. In this episode of our gaming ramblings, we chat about a few new games in more detail, such as Dragon Age 2 and Crysis 2. We also tackle an awesome game of Over/Under, in which Nick has us guess on Metacritic scores for upcoming games. It’s seriously one of my favorite games we play, and I think the results in this one are pretty awesome. So, here are the topics for this week’s podcast. Thanks to Nick’s efforts, we thought we’d try something different and list the time stamps for each thing in the podcast. Hopefully that’ll make it easier if there are certain topics you want to hear about. What Were Japanese Devs Favorite Games of 2010? Have you ever wondered what your favorite game developers considered to be their favorite games? Well it seems that Dengeki Games is looking out for you, as they’ve recently posted a comprehensive survey that they conducted with some of Japan’s top gaming talent. Basically, they asked them what games from 2010 they loved most, and the results are interesting to look at, to say the least. While there are plenty of developers who loved games with that famed Japanese flavor (such as Monster Hunter Portable 3rd, Pokemon Black and White, Vanquish and Mario Galaxy 2), it seems that there were just as many or more who preferred some largely Western titles. However, the top two games that most Japanese developers gravitated towards were both Heavy Rain and Red Dead Redemption. Hit the jump to see the full list. Continue reading What Were Japanese Devs Favorite Games of 2010? Posted on March 25, 2011 March 25, 2011 Author EddyCategories Adventure, DS, GamerSushi News, Gaming Theory, Industry News, lists, PC, Playstation 3, PSP, Wii, XBox 360Tags heavy rain, japanese video game developers, red dead redemption3 Comments on What Were Japanese Devs Favorite Games of 2010? Another year of gaming has gone by, which means it’s time for us to reflect on the games that really made 2010 stand out all its own as one to be remembered. This trip around the sun has produced some clunkers, disappointments, triumphs, wins, fails, works of art and everything in between. We saw quality releases from January through December, and a few surprises that threw us for a major loop in the best way possible. To create this list, the GamerSushi staff (myself, Nick, Anthony, Mitch and Jeff) all made our own individual top 10 lists. From there, Nick used the powerful science of magicmatics to conjure up a final list, based on some mumbo jumbo he did with a point system. What you see is something like an average of all of our lists together, and one that we’re all happy with, minus a few honorable mentions of course. So, without further ramblings from myself, I present the Top 10 games of 2010! GamerSushi Asks: Games that Grow on You? Reviewing game experiences is a tricky business. Often times, my opinions about a game change and shift over time. I’ve found that more often than not, I really need some time to step away from an experience to see what sticks and what ultimately fades away in my mind. For instance, I reviewed Heavy Rain several months back, and while I enjoyed it, I did have some strongly negative feelings about how the game unfolded at the end. Oddly enough, now that I look back on it, I find myself feeling more positive about it overall, and actually dying to go back and play it through. 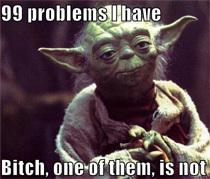 I know this happens for me in the opposite way sometimes as well. This happened after Metal Gear Solid and more recently, Alan Wake. With both of those, my initial impressions gave way and I now look back much less fondly on them. So what about you guys? What games have grown on you over time that you didn’t like as much at first? What games did you feel more negatively about over time? Go! Posted on November 14, 2010 November 14, 2010 Author EddyCategories Adventure, GamerSushi Asks, GamerSushi News, Gaming Theory, Impressions, Playstation 3Tags alan wake, heavy rain, Metal Gear Solid 42 Comments on GamerSushi Asks: Games that Grow on You? I actually liked Heavy Rain quite a bit. I thought it was a very fresh take on both game mechanics and narrative, even if the story did become really uneven in the second half. There was something strangely compelling about this game, even if I was just deciding whether my son would eat pizza or have a healthy meal. That said, there were certain parts of the game that left me with nagging doubts, like Ethan Mars’ unexplained blackouts. Fortunately, a new video expunging the deleted scenes of Heavy Rain shows the explanation for this and many more mysteries besides. I’ve embedded the video for your viewing pleasure. Obviously, this thing is chock-full of spoilers, so beware! This is a pretty rare glimpse into the game design process, and it filled in a lot of the blanks in Heavy Rain. Personally, I feel that most of the stuff they cut was well deserving of it, but the missing parts of Madison’s story would have been cool to play. What do you guys think of Heavy Rain’s deleted scenes? Over the last few weeks, I’ve been on something of a Back to the Future kick. I suppose this may have something to do with the classic trilogy’s recent release on Blu-ray, or simply because I am a science fiction nut that loves awesome movies. 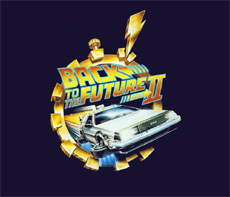 Regardless, there is something about the movies that always strikes me when I watch them, especially when dealing with Back to the Future II’s projections about the future. If for some reason you’re not remember correctly, or a large rock fell on your head and deleted megabytes from your brain, Back to the Future II has some fairly outlandish predictions about where humanity’s technology and sense of style was supposed to be in the year 2015. The notable (and laughable) examples would be that of shoes that tie themselves, flying cars, and home fusion reactors. GamesCom is happening this week in Germany, which is yet another awesome convention that we didn’t get to go to. I hear that flights to Europe are pretty expensive, however, so maybe that’s for the best. At any rate, we can expect to see a lot more delicious info about up coming games in addition to all the usual interesting interviews and quotes that come out of these big events. Take this talk given by Quantic Dream’s David Cage for example. If you’re unfamiliar with the studio, they recently put out Heavy Rain, a different sort of animal by video game standards. Sony put a lot of money behind the game, but even the studio was expecting a flop. Heavy Rain was received rather well, and had pretty good sales number to boot, so David Cage has decreed that gamers are ready for “new paradigms”. Very interesting perspective from David Cage, to say the least. While I think games can function as both a toy and as an art form, I know this is also one of these divisive things that people love to talk about. What do you think or Cage’s statement? 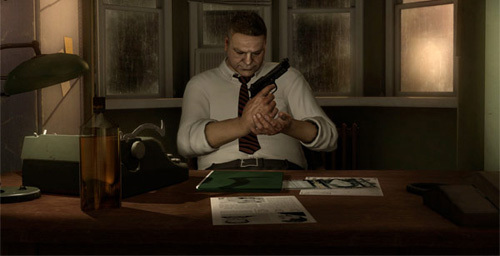 Was Heavy Rain a one-off, or will we see similar games in the future? Posted on July 25, 2010 Author EddyCategories GamerSushi News, Gaming Theory, Horror, Impressions, Microsoft, XBox 360Tags alan wake, buffy, heavy rain, uncharted 211 Comments on GamerSushi Asks: Engrossing Gaming? Upgrading to Move Delays Heavy Rain DLC? Of all the games in the PlayStation 3’s library, Heavy Rain is the first one that comes to mind when I think of the potential of the PlayStation Move. 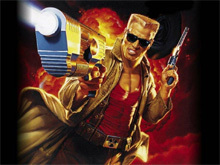 The game is largely based on have the player make gestures using the controller’s sticks or Sixaxis, so using the wand to manipulate the on-screen action isn’t too far-fetched. As intriguing as Heavy Rain would be with motion control, the urging from Sony to have developers Quantic Dream upgrade the game to be compatible with the their new device has delayed the long-promised downloadable content (DLC) chapter indefinitely. The first chapter in the Heavy Rain Chronicles (as the DLC is collectively known) has already been released, but the long-promised second chapter now faces an uncertain future. Word from Quantic Dream’s co-CEO Guillame de Fondaumière is that the DLC might not even be completed after the Move integration is finished by the studio, and the company may just move on to its next, unannounced project. 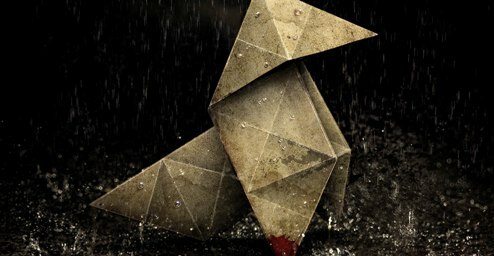 Heavy Rain, for all the problems with its narrative progression, presented a really unique way of playing games and the context sensitive controls made for some really in-depth, intense moments. While I’m disappointed that Sony’s urging has, in part, caused the DLC to be delayed, I’m interested to see what Quantic Dream are cooking up for their next project. What about you guys? A little bummed out? How do you feel about Sony pretty much shutting down Heavy Rain’s DLC? For those of you who are interested, here’s a little trailer showing how the Move support should work. Posted on June 19, 2010 Author MitchCategories dlc, GamerSushi News, Gaming Theory, Industry News, Move, Playstation 3, wtfTags heavy rain, heavy rain dlc delayed, heavy rain move support, move, PS3, sony2 Comments on Upgrading to Move Delays Heavy Rain DLC? And… we’re back! It’s episode 2 of The GamerSushi Show, our still new podcast that we are extremely excited about. From the response you guys gave, and seems like you were too, so we did another one. We cover a pretty wide range of topics here, making for a whopping hour and twenty minutes, a fair bit longer than the original, but I think we’re less nervous so the discussion is even better. We’ve repeated it so many times, but I think it can’t be overstated: the amount of great games we’re getting so far this early in 2010 (with more still to come) is simply staggering. Already we’ve played a game of the year candidate in Mass Effect 2, seen some stuff we’ve never seen before in Heavy Rain, and soon will be revisited by an old friend in Final Fantasy XIII. Oh, and that’s not to mention the Resident Evil 5 DLC (second pack released last week), Crackdown 2 (coming this summer), Splinter Cell: Conviction or the newly released Battlefield: Bad Company 2. Speaking of DICE’s new game, that’s what I’ve been playing a good bit of this week, in addition to Heavy Rain as well as Tropico 3. If you’re curious, Battlefield: Bad Company 2 is a fantastic multiplayer game, and even has a fairly decent single player game, from what I’ve experienced. 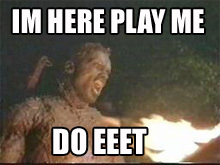 I’ve been up late a few nights playing some epic multiplayer matches. Something that’s become obvious to me is that I simply love Battlefield’s multiplayer format. I don’t know if it’s nostalgia or simple that its layout is just better than many other games, but whatever it is, it hits me in that special place. So what about you guys? What are you playing lately? Go! Posted on March 7, 2010 March 7, 2010 Author EddyCategories GamerSushi News, Gaming Theory, multiplayer, RandomTags battlefield bad company 2, crackdown 2, heavy rain, re5 dlc13 Comments on GamerSushi Asks: What Are You Playing? 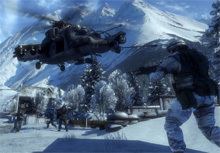 In these parts and others, there is often the discussion of video games as a storytelling medium, and how it fares compared to its brethren such as films, books and the like. More often than not, gamers expect video game stories to be an afterthought, a means to an end, with the “end” being a fun game with engaging gameplay. The story simply serves as the vehicle by which you move from Level 1 to Level 2, the reason you are shooting/whipping/jumping to your next goal. 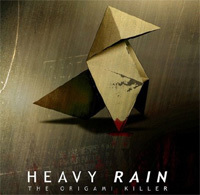 Quantic Dreams’ flagship title, Heavy Rain, promises something different. On the heels of the well received Indigo Prophecy from 2005, the studio set out to top their original interactive storytelling with a tale more realistic, lifelike and ultimately emotionally engrossing. So, how does the PS3 exclusive fare in this regard? Does it change the way we experience a story in this medium with all of the weight of a towering thunderhead? Or is it simply, and I can’t resist this awful pun, a light drizzle? Ahem. Let’s move on. I’m a fan of Gametrailers TV, though I don’t always get to watch it. It’s video game programming that’s not trying so hard, and just does a good job of covering games without trying to jazz anything up. I think we need more shows like that. Anyway, last night they kicked off a brand new season with a bang, showcasing the most anticipated games of 2010. It really is nuts that the combo of last year and this year could make of for one of the best one-two punches we’ve had in recent memory. So many games, and so much excitement. So what games are you guys most excited about? GamerSushi Demands: Post Your Lootz! 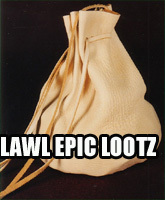 Well, it’s Christmas time, and naturally that means one thing: epic loot! For many gamers, this is the time of year that we can’t stand waiting for, because we know that Christmas Day will reap a bountiful harvest of the things we’ve been dying to play for the last year or even longer. So far, I haven’t been able to do any present opening, so I’m not sure of what gaming things might be waiting for me, if any. If I get some money/gift cards, I’ll be very tempted to buy Left 4 Dead 2, which I keep hearing is even better than the first one. If nothing else, I’m going to be saving up money for Mass Effect 2 (January), Splinter Cell (February), Final Fantasy XIII (March) and Heavy Rain. This week I’ve been playing Assassin’s Creed 2 and while it starts off pretty terribly, it’s getting better fast. So, what kind of loot did you guys get? Feel free to post about it, gaming or otherwise. Go! Posted on December 25, 2009 Author EddyCategories GamerSushi News, RandomTags assassins creed 2, final fantasy 13, heavy rain, loot, mass effect 2, video games15 Comments on GamerSushi Demands: Post Your Lootz! Delays. We all hate them. But unfortunately, we all know the pain of waiting on pins and needles to see some scrap of new for your favorite game, only to hear that it’s been delayed. Hell, it was almost no surprise to hear that Final Fantasy XIII wouldn’t be coming stateside until mid 2010. We’re all used to this kind of thing. That’s why GamesRadar put together a nifty list of 10 games most likely to be delayed until 2010. Yes, it’s kind of depressing, but going through the list they’ve put together, I can’t help but agree. I mean, who really thinks that Gran Turismo 5 is going to come out this year? At this point, the number at the end of the title should stand for the amount of years it’s been in development. However, I really do hope they are wrong about Heavy Rain getting delayed until 2010. Right now, it’s probably my most anticipated title of this gen, save for Mass Effect 2. What about you guys, what are you anxious for? And what do you think will get delayed?